The First Low-Carb Doctor—2500 Years Ago! Dr. Robert Atkins is credited (or blamed) for creating the low-carb diet. But Dr. Atkins was not the first to advocate a high-fat, high-protein, low-carb diet for losing weight. The father of medicine was also the father of low-carb. 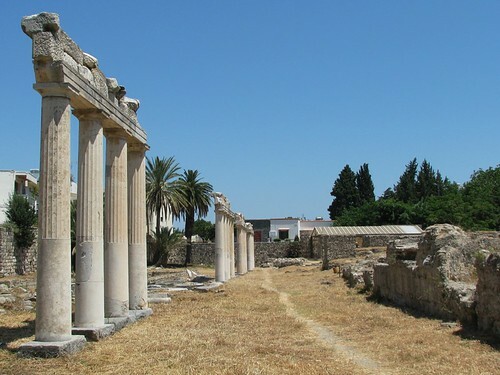 Hippocrates of Kos, the most famous and honored doctor of all time, known as the “Father of Medicine” was the first to advocate a low-carb diet for losing weight. Hippocrates was born in the middle of the fifth century before Christ. He revolutionized the practice of medicine in ancient Greece. At that time, there was a conflict in Greek medicine. There was a division between those doctors who relied on aggressive, dangerous treatments like drugs and surgery (yes, the ancient Greeks used both), and those who saw illness as a punishment from the gods and advocated religious means for healing. Hippocrates created a new path for healing. Hippocrates studied his patients by observing them, taking careful notes, and using his experience to diagnose their conditions. His approach was centered on strengthening the patient through food, exercise, and rest, so the patient’s body could heal itself. Some other techniques used to strengthen the body included massage, inhaling various fragrances, soft music, relaxation, even gentle conversation designed to help calm the patient, and other similar techniques. Hippocrates taught that it was more important to know the patient’s body and how to strengthen it, than to know the disease the patient had. Hippocrates taught that the body had the power to heal any illness, if the natural processes were properly supported. The Hippocratic way of healing always started with diet and exercise. Only if those did not work was medication used. The use of medication was stopped when the patient was well enough to respond to diet and exercise. Surgery was the last resort. The doctor was instructed that every patient was a unique individual, and treatment had to be designed for each particular patient. This was the total opposite of today’s “same treatment for the same disease for everybody” approach. Hippocrates taught that the patient should be treated with kindness, respect, love, and understanding, and knew that a person’s mental attitude had a great deal to do with the healing process. Why Was Hippocrates Considered the Greatest Doctor of All Time? Hippocrates was considered the greatest doctor of all time, because he was so successful in treating illness. While he did not cure everybody, he cured so many that he became recognized as the greatest and most successful doctor of antiquity, perhaps of all time. Hippocrates became particularly famous when he was credited with stopping the great plague that hit Athens during the Peloponnesian War. Athens was under siege, with large numbers of people and animals crowded together. All food had to be brought in by sea, and there was a shortage of fresh food. A terrible plague broke out, killing thousands. The drugs and treatments of the conventional doctors proved useless, as did trying to appease the Greek gods. Hippocrates and his followers came to Athens to try to cure the plague, as it was feared that this terrible disease would wipe out Athens and threaten the very survival of the rest of Greece. They were to light large fires in every home, and keep them burning. All corpses were to be burned completely. All water was to be boiled before drinking. The people of Athens followed his prescription, and the plague soon ended. I should mention that modern doctors and historians call this a legend, refusing to believe that an ancient physician could cure the plague. After all, he had no modern drugs or antibiotics. Any end to the plague must have been a coincidence that had nothing to do with Hippocrates. But the people who were actually there gave credit to Hippocrates, and considered him the greatest doctor in the world. Hippocrates believed that a diet consisting of rich foods would satisfy the appetite, giving the body what it needed so the patient would not eat too much. “Rich food” in his day meant the fat from grassfed animals and pigs, fatty cheeses, and fatty meats. By limiting his patients to the rich foods, he was putting them on a low-carb diet, a diet that was very similar to the one advocated by Dr. Atkins, 2500 years later! Hippocrates also cautioned doctors to avoid a “one size fits all” approach to weight loss. He stated that each patient had a natural weight that was ideal for that person. The goal was to reach the degree of thinness that the patient’s body would support, and maintain naturally with a good diet. By advocating that each patient reach the level of thinness that was right for them, Hippocrates rejected the idea that every person must reach the same degree of thinness. The modern idea of identical thinness for everyone has caused so much pain and misery, causing the horrible cycle of drastic weight loss followed by drastic weight gain that is so common today. This horrible cycle is repeated by person after person, resulting in huge profits for the diet industry. It should be noted that Hippocrates prescribed various diets to help sick people. Sometimes he would prescribe a diet that contained carbs, and sometimes he would put a patient on an all-barley diet for a short period, but not for weight loss. As always, he customized his treatment to the individual patient. Hippocrates is famous for establishing a code of ethics for the medical profession, which was embodied in an oath he wrote for all physicians to take. There was a time when all Western doctors took the oath, though many did not honor it. The modern version of the Hippocratic Oath does not even resemble the oath written by Hippocrates, and is completely different. In other words, doctors used to take an oath to heal with diet! Not drugs, radiation, or surgery, but diet. The healing approach of Hippocrates, based on a healthy diet that supports the natural functioning of the body, is completely consistent with the findings of Dr. Weston A. Price. Dr. Weston A. Price studied a number of healthy peoples who ate the diet of their ancestors. All of these peoples followed the Hippocratic method of using diet to support the natural functions of their bodies. All of these peoples were completely free of the chronic diseases that plague the modern world. All of these peoples ate a diet that was much higher in animal and fish fat, and much lower in carbs than modern diets. And all of these peoples were in great physical shape, with obesity being unknown. Dr. Robert Atkins, the founder of the modern low-carb diet, had been demonized, vilified, and heavily criticized. His critics constantly claimed that his findings had no support in science or history. They were wrong, as the greatest physician of all time, Hippocrates of Kos, also prescribed a low-carb diet for losing weight, using very much the same approach as Dr. Atkins. Ingredients for a traditional grass fed brisket pot roast. 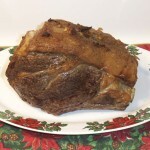 Many people have asked me for a recipe for grassfed brisket pot roast. While Tender Grassfed Meat has a number of pot roast recipes, it does not have a recipe for brisket. I received so many requests that I decided to create one. Brisket is one of the most beefy, flavorful cuts. It can also be one of the toughest. Grassfed brisket has a reputation for being particularly tough. But a grassfed brisket, treated with the magic of traditional pot roasting, can be so tender, with a rich texture that is a pleasure to chew, and a deep beefy flavor that almost no other cut of meat can match. Pot roasts from brisket are a tradition in French, Italian, Belgian, German, Czech, Austrian, Jewish, Russian, Polish, and American cuisines—and in many others. Just about all of these traditions use onions to flavor the meat, and most of them also use carrots. 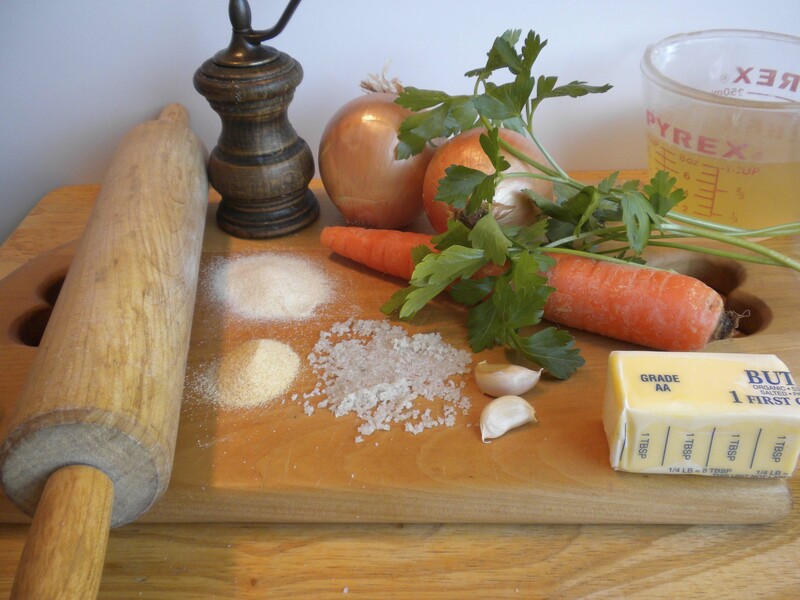 Many other ingredients are used, and these can vary greatly. Grassfed briskets usually have most or all the fat trimmed off. An untrimmed brisket will have a great deal of fat, actually too much for a pot roast, and the fat should be trimmed to no more than one quarter inch in thickness. Brisket has so much deep beefy flavor that this recipe will be great even if the brisket is completely trimmed of fat (but a light covering of fat is best). The amount of time it takes to cook a grassfed brisket to be wonderfully tender can vary, but it usually takes a long time. The best way to tell if it is done is to stick a fork in it. If the fork goes in easily, with little resistance, it is ready. If not, it needs more cooking. Just about every cookbook will tell you never to pierce cooking meat, or you will “lose valuable juices.” This “rule” does not apply to grassfed meat. I stick forks and instant read thermometers into grassfed meat all the time, and the meat still comes out tender and delicious. A cast iron casserole, or an enameled cast iron casserole, is the traditional pot for cooking this dish, and works beautifully. But any sturdy casserole that can be used for browning on the stove (with an ovenproof cover) will do, if you do not have the traditional casserole. This recipe combines a number of traditional flavors for brisket pot roast. The use of powdered onion and garlic along with fresh onion and garlic creates a rare depth of flavor. Beef suet gives a wonderful flavor to the meat, but so does butter. Your choice. Either way, the gravy will be wonderful. This is a great recipe for a cold day, which is why brisket pot roasts were popular winter fare all over Europe. Take the meat out of the refrigerator at least 1 hour before cooking, so it will be at room temperature. Combine the pepper, onion powder, garlic powder, and salt, and mix well. Rub this mixture all over both sides of the meat. Preheat the oven to 250 degrees. Heat 2 tablespoons of the suet (or butter) over medium heat, in the bottom of the casserole. When the fat is hot and slightly smoking, add the roast to the pan. Brown for about 5 minutes, then turn the meat over and brown the other side, also for 5 minutes. Remove the meat from the pan. Add the remaining 2 tablespoons of suet (or butter). Add the onion and carrot and cook for 5 minutes, stirring from time to time. Remove the vegetables from the pan. Return the meat to the pan. Pour the vegetables over the meat, and use a spoon to push them so they surround the meat. Add the broth, parsley, and garlic, and bring the mixture to a slow simmer. Cover the pot and place in the oven. Cook until a fork goes easily into the meat, which could be anywhere from 2½ to 3½ hours. Remove the meat to a plate. Bring the gravy to a simmer over the stove. Stir the arrowroot and water together until they combine, then add the arrowroot mixture to the simmering gravy. Simmer briskly until the gravy thickens, stirring well. Once the gravy thickens, place it in a pitcher and serve the tender meat. Serve and taste why brisket pot roasts have been cherished for so many years. I had my second real food miracle several weeks ago. It’s one thing to read about how the Weston A. Price way of eating strengthens the body, but it is really powerful to experience it. A medical prediction proved worthless once again, and I had definite proof that my bones are stronger and healthier now than they were 37 years ago, when I was in college. The difference? 37 years ago, I was eating the Standard American Diet, also known as “SAD”. In 2010, I had been eating a Weston A. Price type diet for several years. Being young, oblivious, and foolish, I ran into a crosswalk. I was hit by a vehicle, sent flying through the air, and landed directly on my right knee. The knee was severely fractured. I could not stand up, and had to be taken to a hospital. After x-rays, the doctor told me the knee would always be seriously weakened. The knee would deteriorate over time, and there was no way to stop it. I would inevitably need to have the knee replaced at some future date. Over the years, I was protective of the knee, which gradually became stiffer and achier as time went on. Sometime after I switched to a Weston A. Price diet, the stiffness and aches just diminished and eventually disappeared. I followed the nutritional advice given by the Weston A. Price Foundation. I stopped eating processed foods. I stopped almost all sugar and sweeteners. I made a real effort to eat organic (or the equivalent) whenever possible. I had nutrient-dense food such as eggs, cheese, grassfed meat, bone broth, cream, mountains of butter, cod liver oil, wild seafood, and many kinds of animal fat. A few weeks ago, I was walking on a wet loading dock. All my attention was on the conversation I was having, and I slipped on something and toppled over the edge of the dock. I fell some distance and landed heavily, with all my weight, directly on the previously injured knee on a solid steel loading step. I landed with great force, greater than when my knee had been injured the first time. I felt a moment of panic, which immediately passed when I realized that something was missing—pain. There was no pain. I carefully got up, and felt a very slight stiffness and very minor pain. I looked at the knee. There was a very small bruise, about the size of a pea. That was it. No fracture. The skin was not even broken. The pain soon disappeared, and I felt a very slight stiffness for the rest of the day. When I woke up the next morning, the stiffness was gone, the bruise was gone, and there was no pain. It was like it never happened. I came to realize that the knee had actually healed, and that my bones were stronger than ever. Many Americans suffer from thin and brittle bones, especially when they get older. It is very common for an older person to break a hip or some other bone from a relatively minor fall. Even younger people are breaking bones more often. Many people in their 40s or younger are having their joints surgically replaced. In fact, so many younger Americans are getting artificial knees and hips that special forms of these creations of metal and plastic have been designed for younger people. The Standard American Diet, which its focus on processed factory food full of sugar and chemicals, does not supply our bodies with the nutrients needed to maintain strong bones. 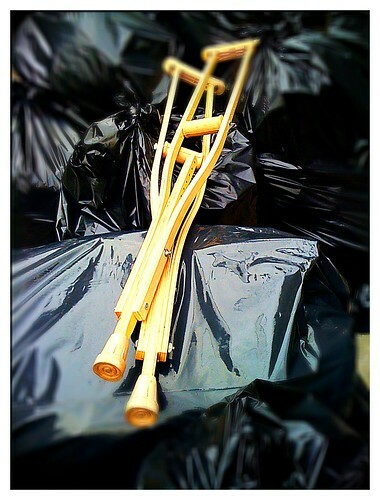 Most people in this nation believe that they will have a knee, or both knees “replaced” at some time in their lives. They also believe that they will need to have a hip, or both hips “replaced.” They think of these surgeries as an inevitable part of growing old. Interestingly enough, the healthy peoples studied by Dr. Weston A. Price never had their joints replaced, and never needed to. Even in extreme old age, they remained mobile and active, keeping their own knees and hips. No artificial creation of metal and plastic can possibly “replace” the joints we were born with. At best, these contraptions can be a very poor substitute for our own bones. Replacing knees and hips is a very profitable business in the United States. Over a million knee replacement surgeries are done every year, and over a quarter of a million hip replacement surgeries. These surgeries often have complications, which are treated by more drugs, more surgeries, more hospitalization, which requires the spending of more and more money. Recently a major network reported that a particular artificial hip was being recalled. The problem was that unless it was installed with complete perfection, it was likely to release metal shavings into the bloodstream, which could cause dementia and/or heart failure. “Recall” means that everyone who has had a defective artificial hip installed must have it surgically removed and replaced. I prefer to keep my own joints. Thanks to Dr. Weston A. Price and the Weston A. Price Foundation, I know how to do that just by eating a traditional, nutrient-dense diet. The Dietary Guidelines of the Weston A. Price Foundation are a great place to start. This post is part of Real Food Wednesday, Fight Back Friday, and Monday Mania blog carnivals. The taste of the most basic and primal of foods, grassfed meat, cooked with one of the oldest and most traditional fuels, 100 percent hardwood charcoal, is the best. Not only to me, but to countless millions of people. There is something about the taste of this food—one of the oldest taste combinations known to humanity—that calls to us, awakens old primal memories, and is satisfying like no other food. When we smell this meat cooking, we instinctively salivate, as our bodies recognize that the smell means good food is on the way. The salivation signals our bodies to get ready to eat, and the digestive system prepares for action. We get hungry and our sense of taste and smell is somehow enhanced. We become hungry, and hungrier, as the smell changes as the meat finishes cooking. When we finally bite into the tender meat, and taste the primal flavor of the charcoal-imbued meat, the satisfaction is unequaled, we want more, and the meal becomes a joy to be savored. Somehow, this meat is incredibly easy to digest, and we do not feel stuffed or bloated. We eat with eager hunger until we have had enough, and the hunger ends. The feeling of satisfaction and well-being we get from such a meal is unique, not matched by any other food. Meat and fat have been prized by most of humanity for countless thousands of years. This may be our oldest cooked food. I have studied the traditional cooking of almost every European, North American, Asian, and Latin American nation in the world. I have also studied some of the cooking of the Middle East, Micronesia, and Africa. Just about every traditional cuisine treasured meat cooked with charcoal or wood coals, though people were often unable to get it. Even today, barbecue excites people like no other food. I believe that barbecued meat is so popular because humanity has been eating it for so long. The love of it may be in our very genes, and our bodies have adapted to recognize and digest it easily. We now have a fear of barbecue, created by studies claiming that barbecued meat contain substances that could cause cancer. However, none of those studies involved primal meat that was cooked with primal fuel. The traditional peoples studied by Dr. Weston A. Price cooked meat this way, and cancer was unknown to them. Much of what is now called barbecue is a sad imitation of the real thing, scorched, tasteless, or sooty. We can recreate the primal taste of primal meat cooked with primal fuel. All we need is primal meat, primal fuel, and the right method. This can only be 100 percent grassfed and grass finished meat, or wild game, or omnivorous animals such as pigs eating their natural diet. Most of the meat eaten in the United States is processed through a feedlot, where the animals are fed a diet of foods they would never eat in their natural habitat, and altered by chemicals and antibiotics, among other things. This causes the meat of feedlot animals to taste different, and to behave differently in cooking. Humanity never experienced this kind of meat until the 20th century. Primal meat is the kind of meat humanity has been eating for uncounted thousands of years. Meat from animals eating their natural diet, unaltered by chemicals, drugs, and species-inappropriate foods. Fortunately, we can get such meat today, thanks to a small but noble band of intrepid farmers and ranchers. The kind of primal fuel we can easily get today is 100 percent hardwood lump charcoal, or the same charcoal in the form of briquets. We can also burn unsprayed, chemical-free wood down to coals. No other fuel will do to recreate the wonderful combination of primal meat and primal fuel. This involves cooking the meat in front of a fire of coals, without scorching, charring, or clouds of smoke. Traditional peoples never let the flames hit the meat, and some old time cooks warned about how too much smoke and flame would impart a nasty taste to the meat. Interestingly enough, the substances found hazardous by the studies are created by direct high heat, especially when the flames hit the meat. 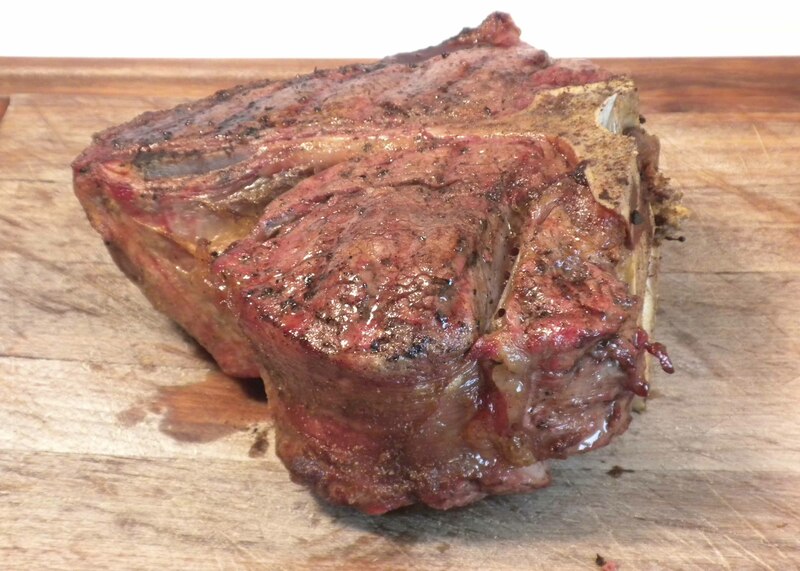 I am finishing a book on barbecuing grassfed meat that shows a method that works beautifully to create the magnificent taste of primal meat cooked with primal fuel. The book adopts traditional methods of cooking this food to our time, and the results have been absolutely delicious. I have barbecued almost every day this last spring and summer, and I have been blessed by the wonderful flavor and satisfaction of eating primal meat cooked with primal fuel. I had the pleasure of being interviewed by Jon and Cathy Payne of the Our Natural Life blog. Jon and Cathy are amazing people. After retiring from successful careers, they became farmers. They describe their fascinating new life as homesteaders in their fine blog. I really enjoyed the interview. In this interview we talked about how I used real food to resolve my health problems; the crucial role grassfed meat played in restoring my health; how I learned to cook grassfed meat by researching traditional cooking methods; health and cooking characteristics of grassfed meat; and a little preview of my upcoming book on barbecuing grassfed meat. 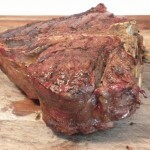 Cooking Tender Grassfed Meat (Podcast ONL072) and a GIVEAWAY! Many of us know the many nutritional benefits of butter. We know that butter was a sacred food that was considered vital for health by many traditional societies. We know that butter was so common and so important in traditional Western nutrition that it was eaten at every meal, by everyone who could get it, from peasant to king. 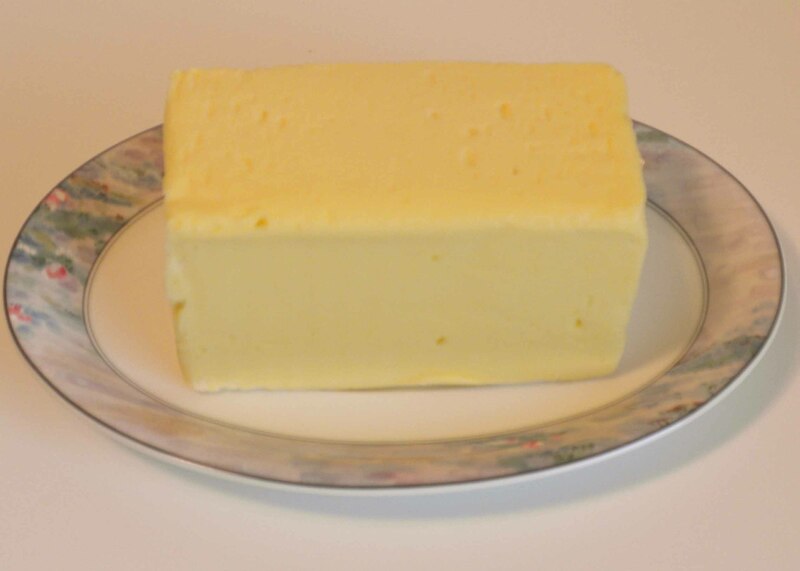 Huge numbers of people have experienced many benefits from eating pastured butter, from weight loss to mood improvement to substantial improvements in many body functions. By pastured butter, we are talking about the pure, undiluted butter made from the milk of cows grazing on pasture. But there is more to butter than nutrition. The ancient Greeks and Romans maintained numerous herds of sheep, cattle, and goats, mainly for the milk. They made huge amounts of butter. But they did not eat it. Why not? Because to the ancient Greeks and Romans, butter was too valuable to eat! Butter was used to heal and maintain health. It was rubbed into the skin to protect it from the sun and keep the skin soft and supple. Butter was applied to the joints to revitalize them and cure aches. Butter was gently applied to bruises and swellings to reduce and heal them. Butter was applied to sore and aching knees, and was used to effectively treat arthritis. Butter was massaged into the muscles to nourish them and make them strong. Butter was applied to strained muscles to relieve pain and to help them heal. Butter was applied to the face to remove wrinkles and keep the skin young. The competitors in athletic events were often massaged with butter prior to competing, as it was believed to be a performance enhancer. Butter was sometimes eaten, as a medicine, to treat infertility. Butter was also taken internally to calm the nerves and reduce anxiety. Butter was also rubbed into the sore feet of travelers who had walked a long way, to relieve the pain and swelling. Butter was applied to bags under the eyes to remove them. Butter was rubbed into the scalp to increase the hair’s health, body, and thickness. Butter was also rubbed into the skin to relieve and prevent sunburn. Butter was rubbed into the areas around broken bones, as it was believed to stimulate healing. Butter was held in the mouth to relieve sore gums and internal mouth injuries. The Greek and Roman doctors were known for their skill in healing, and they often used butter for this purpose. Modern medicine arrogantly assumes that the ancient Greeks and Romans lived short lives, and had poor medical care. This is based largely on the examination of skeletons by archaeologists, who decide the age of the skeleton from the condition of the bones and joints. The comparison is to the skeletons of modern people, which is questionable because it assumes that ancient peoples would have the same bone density and characteristics of modern skeletons. It is quite likely that well nourished, physically active ancient peoples would have much stronger and thicker bones than sedentary modern people eating factory food. This means that a 70-year-old ancient Greek might have a skeleton comparable to that of a 30-year-old modern man who was raised on factory food. The fact that many ancient Greeks and Romans lived to a healthy and robust old age is supported by the extensive writings of the Greeks and Romans themselves. These records make it clear that many of them were active into their seventies and eighties, and men of that age were not invalids, but were expected to do everything younger men did. This included fighting in the military. All Greek male citizens were expected to fight in the phalanx (a dense formation of spearmen wearing heavy armor). Hand to hand combat wearing heavy armor, and using heavy weapons, is an incredibly strenuous activity. Age did not excuse the duty to march and fight. These men were expected to march in heavy armor for many miles, and to fight a battle at the end of the march. The soldiers of the early Roman Republic were divided into different classes based on age. Every male citizen had to serve in the military. The Triarii of the early Roman Republic were the oldest men, often in their sixties and seventies. They carried the heaviest armor and weapons. Like the other soldiers, they were expected to march 15 to 20 miles a day, carrying over 100 pounds of armor and equipment, and be ready to fight a strenuous physical battle at any time. How many modern senior citizens would be capable of this kind of activity? The additional blessings of butter were shown to me by a recent incident. A person, who prefers to remain anonymous, fell face down on a wet sidewalk. Many scrapes and cuts occurred on the face, forehead, nose, and upper lip. The cut on the upper lip was particularly deep, so deep it damaged the interior of the mouth. Both eyes were blackening, and large bags were appearing under the eyes. The swelling was restricting the field of vision. As conventional medicine offered nothing but stitches, ice packs, drugs, and antibiotics, the decision was made to try alternate remedies. Pastured butter was applied to the bruised and swollen areas, but not directly on the eyes or on broken skin. Within a day, the black eyes turned to red, and the red was gone within a couple days. The bags under the eyes shrunk quickly, and were soon gone. Pain and discomfort were quickly relieved. The field of vision became normal as the swelling shrunk. The injured area in the mouth began to heal quickly when butter was held there. The scrapes and cuts healed quickly, and complete healing took place within two weeks. Everything healed. While natural disinfectants and other alternate remedies were also used, the injured person is certain that the application of butter played a crucial part in the healing. I am just reporting on what happened, not making medical recommendations. This post is part of Monday Mania blog carnival.